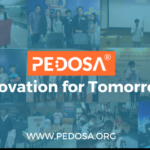 Founded by a 14-year-old entrepreneur from Hong Kong, Pedosa aims to bring modern technology to everyone, especially the younger generation through hands-on development. Transform them from users to makers, and reshape the future of technology through the development of open-sourced products. The producer says: at Pedosa, I aim to bring modern technologies to everyone, especially the younger generation. But instead of selling you the ultimate products, I provide you with necessary electronic components, detailed documentation as well as technical support. Transforming every one of us from users to makers, and reshape the future of technology through the development of open-sourced projects. My flagship product is the Pedosa View, which is a pair of smart glasses. It is designed to be affordable, easy to build, but nevertheless a helpful tool which provides you with all the latest information right in front of your eye. I also developed a completely independent operating system called the PedosaOS which is designed to run on smart devices like smart glasses and smart watches. It connects to my Pedosa Connect mobile companion application to deliver all notifications as well as weather information and much more, from your phone to the Pedosa device. With our detailed documentations, even if you have little to no experiences in engineering and programming, you would absolutely still be able to build your very own Pedosa device. I believe that even an 8-year-old kid can also build one on his own! You can even modify the software and develop new applications for Pedosa to suit your needs. So you are not just using such technology, you are also learning and developing skills in technology during the process.